Blinded By Sound and the Concord Music Group have teamed up to give one lucky reader the opportunity to win a Paul McCartney prize pack. Blinded By Sound and the Concord Music Group have teamed up to give one lucky reader the opportunity to win a Paul McCartney prize pack featuring the two latest releases from the Paul McCartney Archive Collection, McCartney and McCartney II, both of which are available in Special and Deluxe Editions on June 14, 2011. 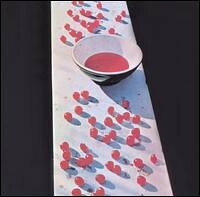 Released in 1970, McCartney is Paul's first solo album. Created during the final days of The Beatles, he plays all the instruments on it. The album was #1 on the Billboard Pop charts for 47 weeks and its most notable track is "Maybe I'm Amazed," though the live version from 1976's Wings over America is the one that on to become a Top 10 hit. 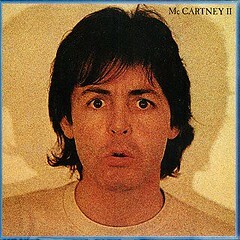 Released in 1980, McCartney II is Paul's third solo album and the first since he formed Wings. It's a marked depature for him due to the predominant use of synthesizers. The album reached #3 on the Billboard Pop charts for 19 weeks. "Coming Up," oddly his only #1 hit single credited just to "Paul McCartney," is the album's most notable track. A very funny video for the song was created using the technology of the time to show Paul playing every musician on the set. To enter for a chance to win the prize, send an e-mail to our sister site cinemasentries @ gmail .com (no spaces) with your name and the name of your favorite McCartney song. For a second chance, leave a comment below. The winner will be picked at random from the entries and is restricted to a resident of the United States or Canada.